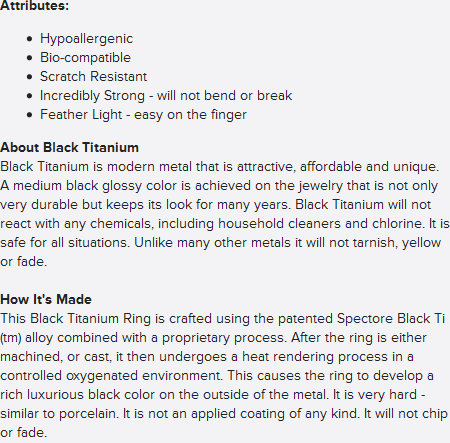 Modern jewelry styling for men at it's best. 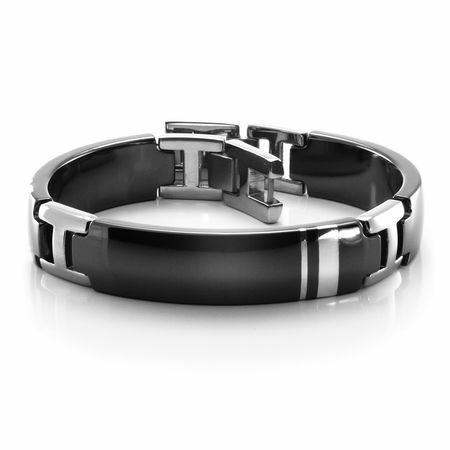 The WELLINGTON black titanium bracelet by Edward Mirell is striking. The inlays of sterling silver really add a great touch to this mens bracelet. The bracelet is a sophisticated design, yet a piece that can be worn every day. Measuring 12mm wide and 8.5" long.